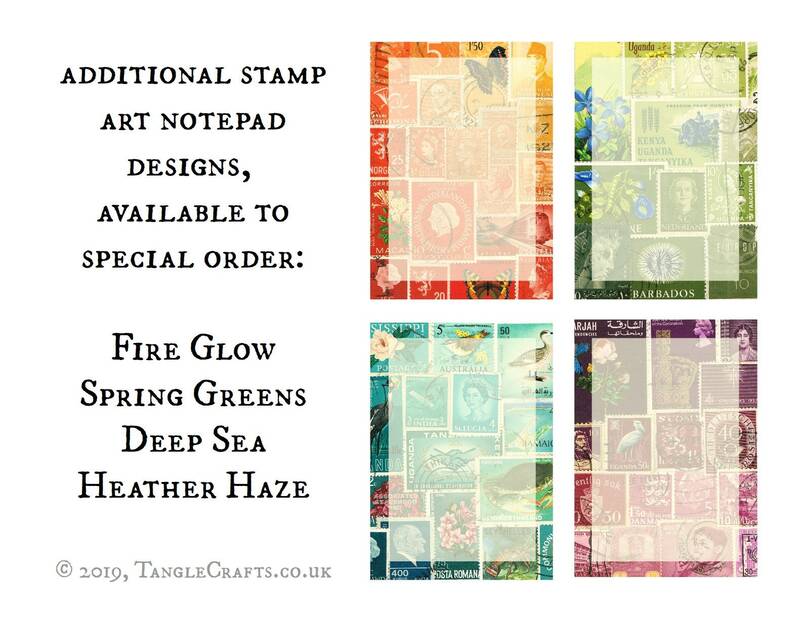 This colourful printed notepaper pad has 50 tear-off sheets, all printed with the same design: the perfect desk jotter for the eclectic home office, handy postal-themed stationery for prolific long letter writers, or possibly just the thing for scrawling a quick message to pin on the fridge! 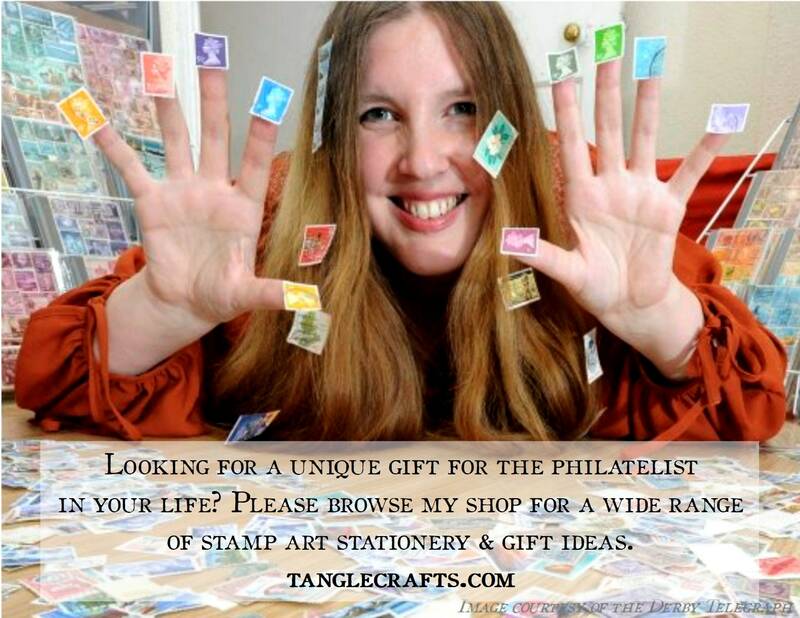 The design has been reproduced from one of my original collages of vintage postage stamps from around the world. The design covers the full surface area of each A5 sheet but fades into the background of the main writing space so that your words are easily legible (reverse is plain white). 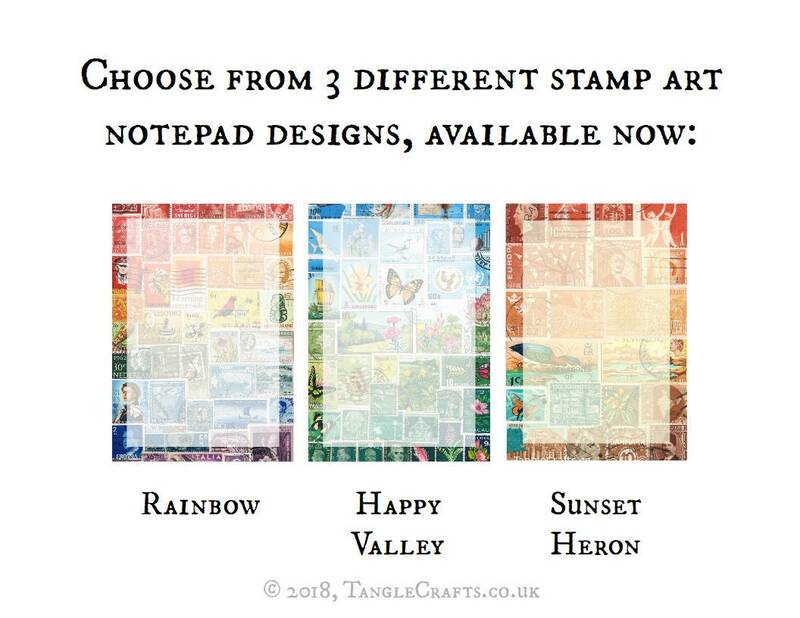 - Please note, additional designs shown in pic 5 are not currently in stock, so are available as special order only. This will add approx. 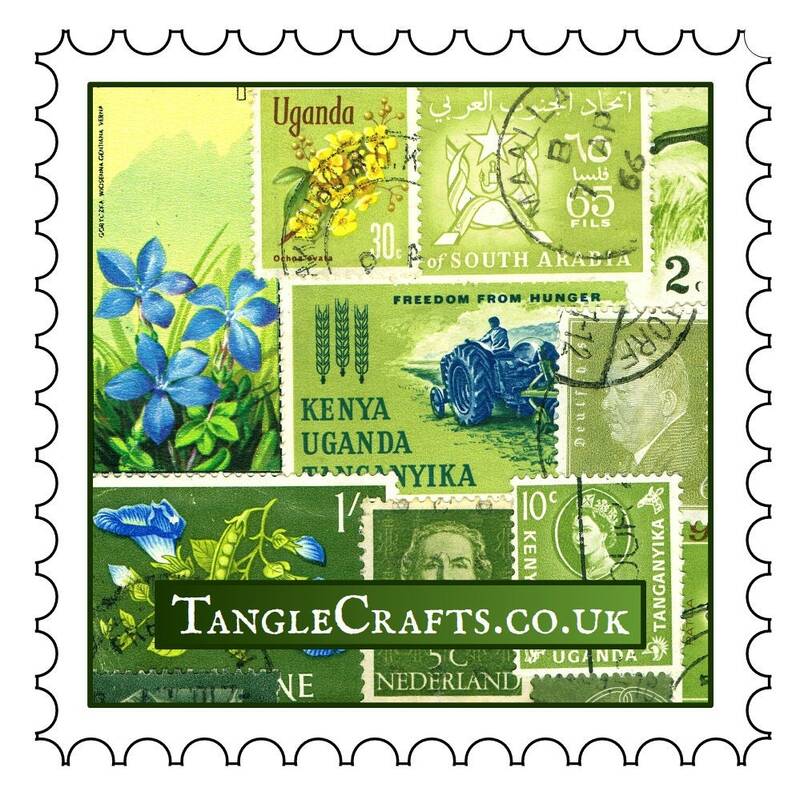 10 days to your order despatch time while a new print run is set in motion for you. 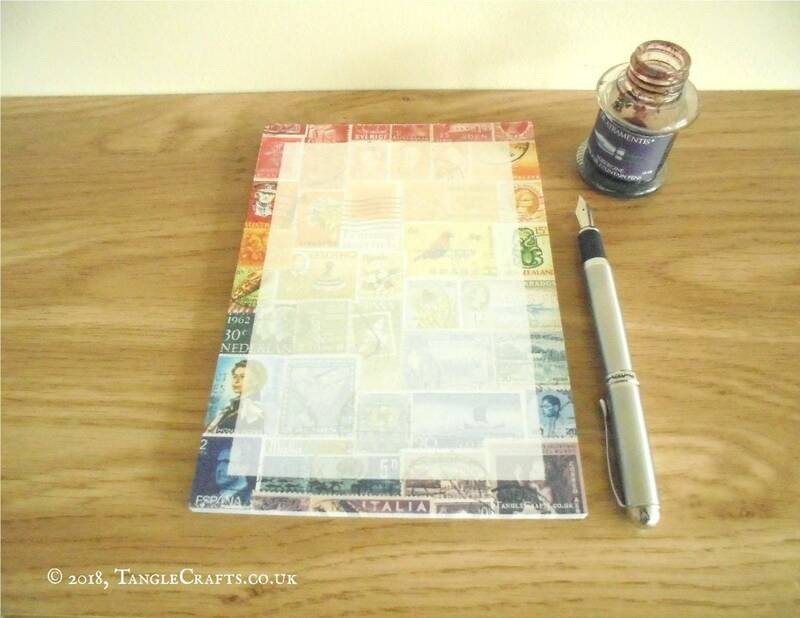 - The sheets of writing paper are an eco-friendly (wood-free) & fountain pen-friendly 90gsm. - The design is printed on one side only of A5 sheets (14.8 x 21cm = 5.8" x 8.3"). 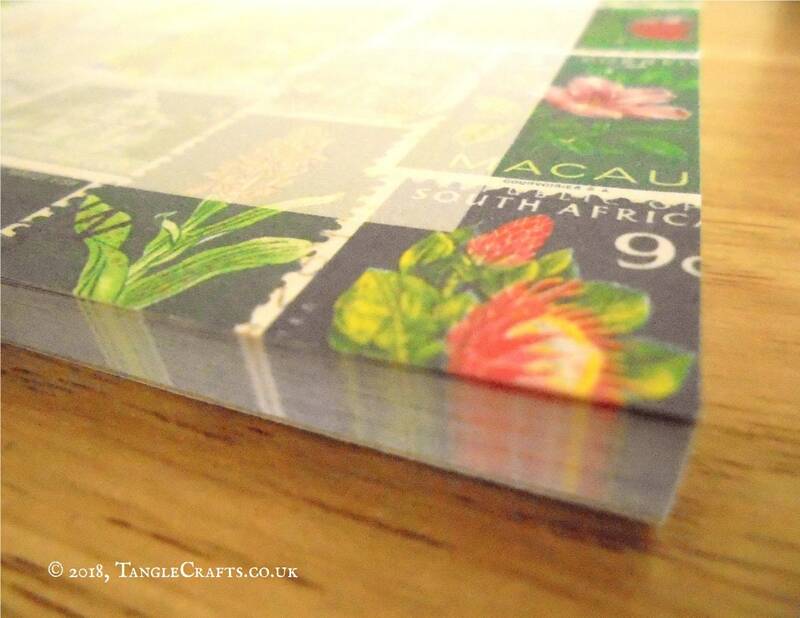 - Paper is glued along top edge so you can just tear off each page as you need it. 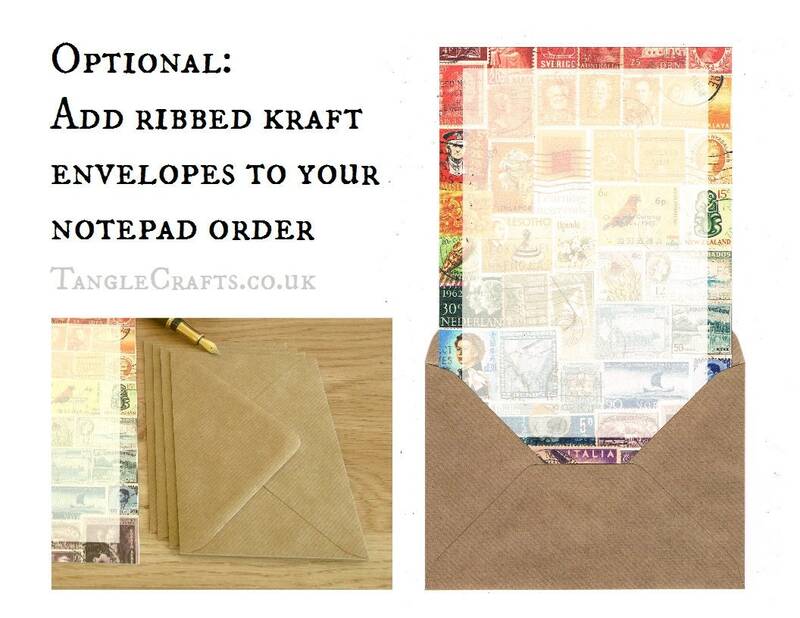 Ribbed kraft envelopes can be included with your notepad order - just add as few or as many as you like, using the drop-down menu. Envelopes are C6 size, which measures approx. 16.1 x 11.3cm (4.5" x 6.3"). They comfortably fit A5 sheets folded once. 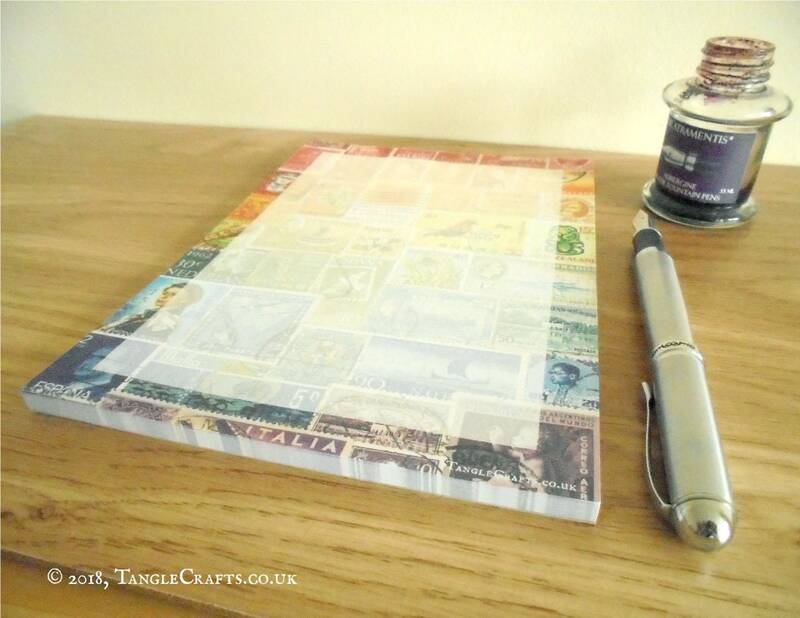 Each notepad is neatly packaged in a simple, re-sealable cellophane packet.